Happy New Year! 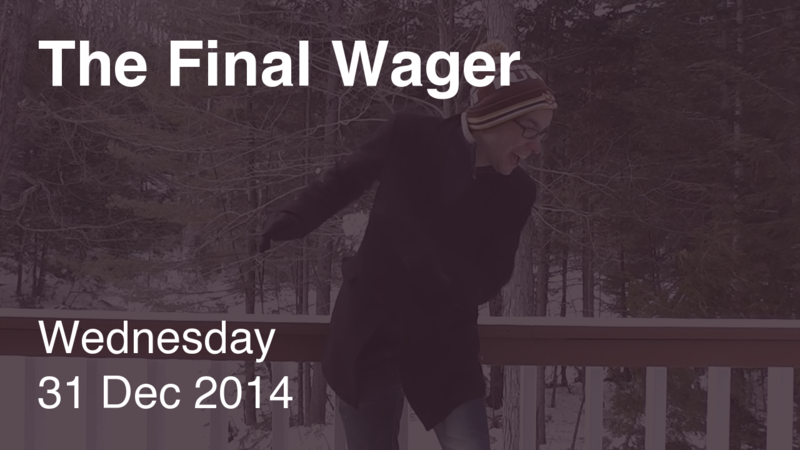 My friends didn’t want to be in Wednesday’s video, so they decided to sabotage it instead. Fresh off breaking our 3xer drought, Vaughn has #4 locked up. The situation between Zamir and Jennifer is similar to the one between Terry O’Shea and Sarah McNitt in the Tournament of Champions. 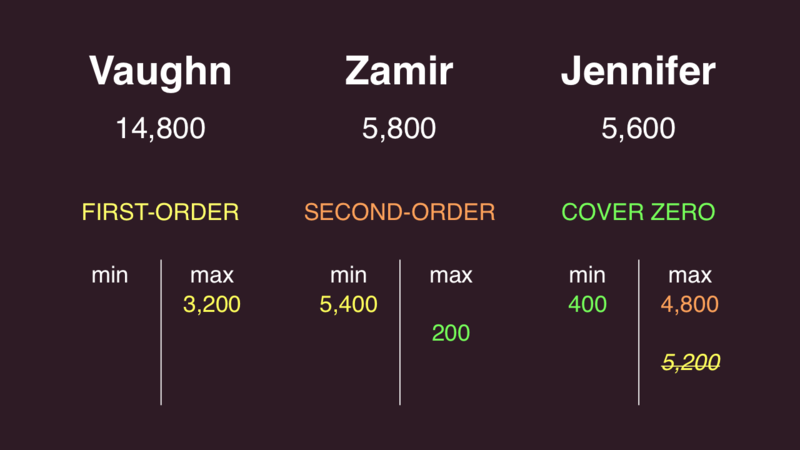 Zamir can either bet on himself by going for 5,400, or force Jennifer to get it right by wagering at most 199 (although 200 is ok too, since a tie for second goes to the leader entering Final). Vaughn was lucky he had things locked up! We’ll see if he can break the Julia Collins Hex on the first game of 2015. See my 12/23 comment for details. In the last 10 games (counting tonight) we have the following result: In 3 cases all three got it right = easy. 5 cases of 1 right + 2 cases of 2 right = 7 ok and 0 cases of 0 right = hard. So that’s a “final jeopardy degree of difficulty = just right” score of 70%. So we are back to the most popular score of 70% again.